Williams, Henry T. "The Pacific tourist". 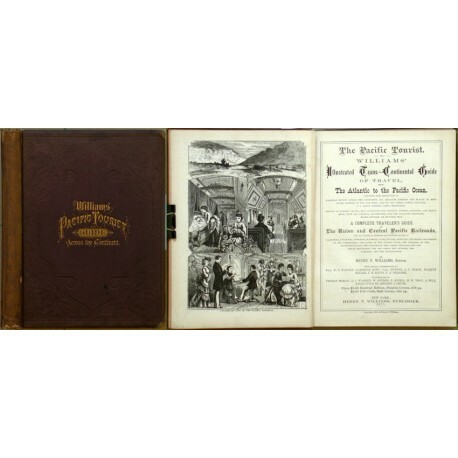 William's Illustrated trans-continental guide of travel, from the Atlantic to the Pacific ocean... A complete traveler's guide of The Union and Central Pacific Railroads... New York: Williams, 1877. Large 8°. ll. (advert. ), 278 p.,  ll. (Index and advert.). 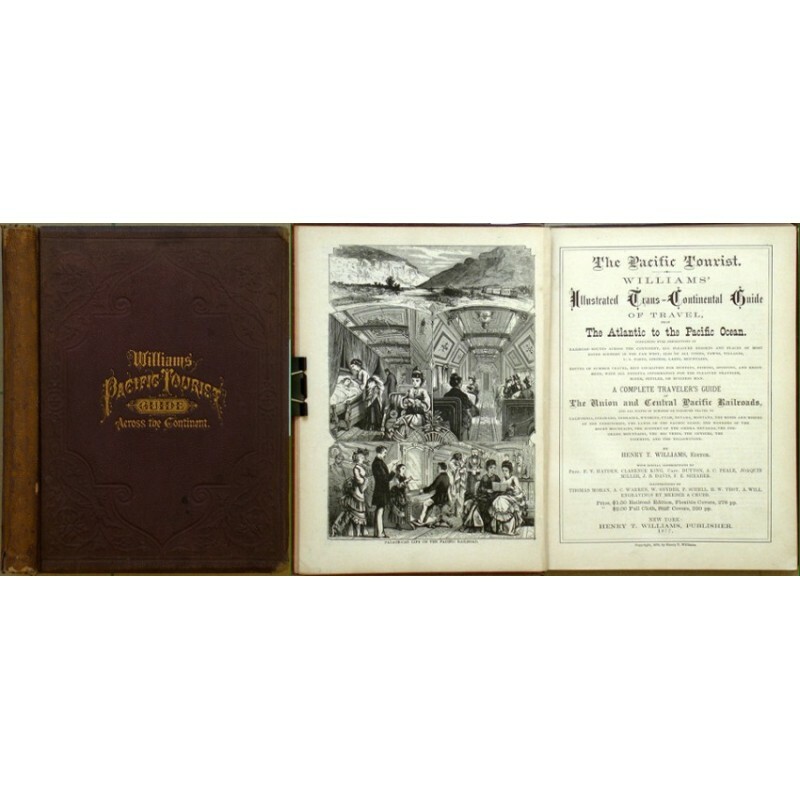 Numerous illustrations by T. Moran, A. C. Warren, W. Snyder, F. Schell, H. W. Troy, A. Will. Orig. stamped cloth binding w. gilt title.